The vented rotor is available only for the Tech V4 brake. It is not retro fitable to the other brakes in the range or aftermarket to other brands. It is wider than a standard fixed or floating rotor. 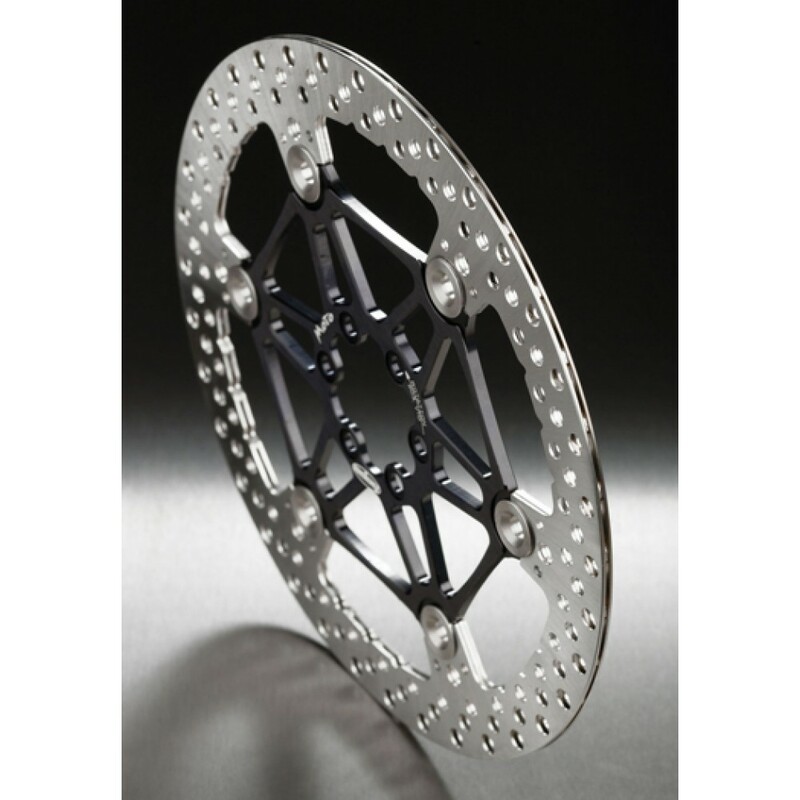 This rotor takes braking performance to a new level. the internal fins allow the air to flow between the two friction parts. The induced air flow significantly reduces and delays the heat build up in the rotor. Dyno tests show a difference in temperature of 15% between a standard floating rotor and a ventilated floating rotor. thanks to its capability to clear the water layer through the fins.